Today’s episode is going to be a little different. 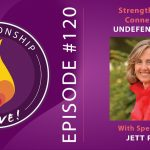 Many of the guests on Relationship Alive have been bestselling authors, and are people you recognize – and they’ve all influenced my own growth, both in relationship, and in my work with clients. That being said, one of my most influential teachers over the past several years is someone that you probably haven’t heard of – at least not until today – but her work has been profound for me in creating both deep inner transformation as well as helping me and my partner Chloe navigate the twists and turns of our relationship. 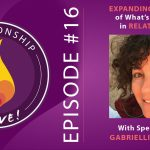 Her name is Gabrielli LaChiara, and she is the creator of the Infinity Healing Practice – a combination of neural science, energy healing, and shamanism. 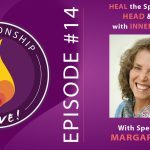 Gabrielli is a gifted healer and teacher, and also a trained Social Worker – and she leads workshops and trainings on the east and west coast. 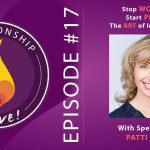 In this conversation, she’s on fire as we dive into the special recipe of how to get unstuck and how to make a good relationship great. There’s some special magic at the very end as well, so make sure you listen all the way through. 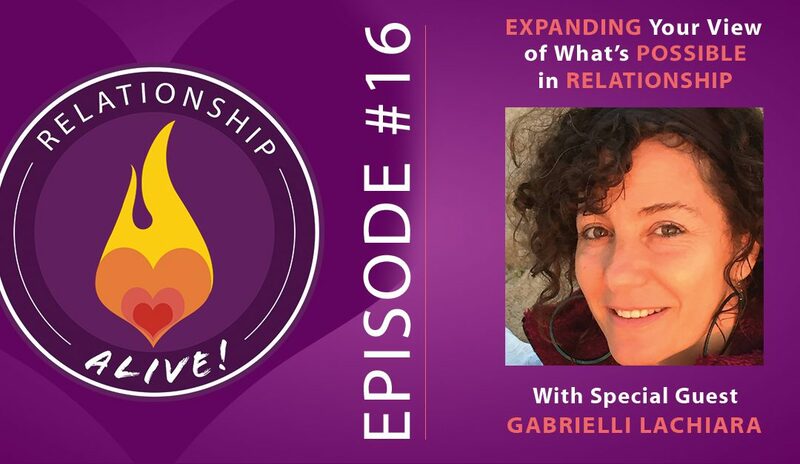 What plays into the foundation of our relationships? In a context of having created a safe container, we can explore fulfilling our needs and desires – and getting safe again! What did you bring with you as you entered this life? What legacy have you been handed by your genes? By the experiences of your ancestors and immediate family? How have you continued the patterns – and are you doing that by choice? Where are you not safe in your relationship? We have to learn how to deal with hurt, transgressions, judgment, and exit strategies and transform them into safety. Where do you have “exits” in place? It may not be a literal foot out the door – you might experience an “exit” as a place where you cope, or tune out, instead of leaning in when problems occur. Are you IN the relationship? Really in? What should one partner do if the other partner isn’t willing to “do the work” in the relationship? Generally, having an agenda to get your partner to change is a recipe for…well…not being happy. How much can you get right with your own experience? How much can you choose to be fully yourself? To what degree can you see yourself as the source of your experience? How does your partner change when you make that shift? The skills and tools we need to understand ourselves and our relationship are ALL ABOUT AWARENESS. What’s going RIGHT in your relationship? How much time do you spend energizing your partner, fueling your appreciation of them and what you’re able to do/create together? What you focus on grows, so…can you focus extra time and attention on what’s going right? 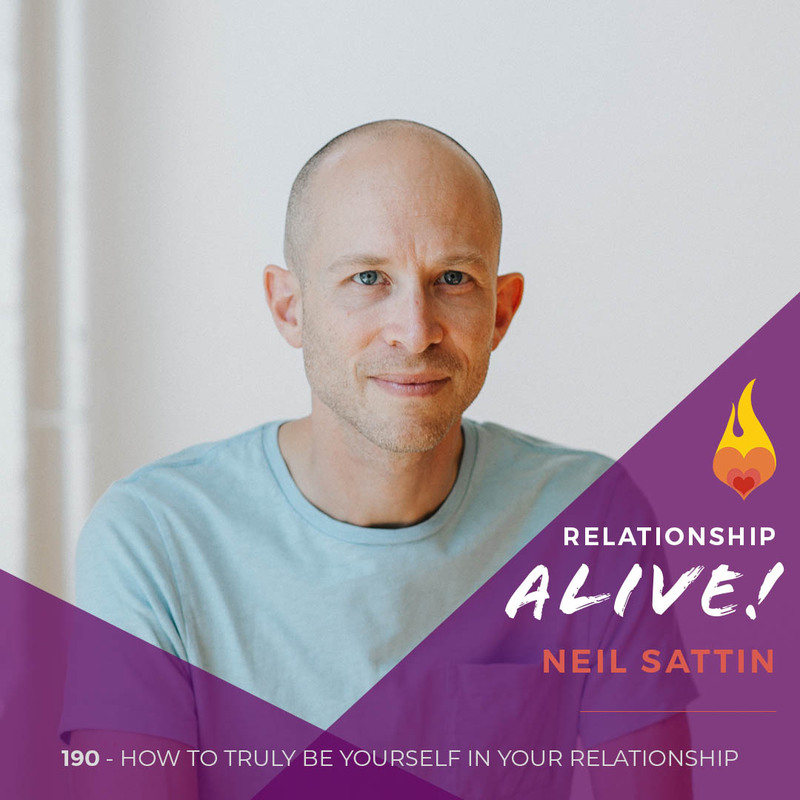 How can you show up with compassion with your partner? Gabrielli uses the example of creating agreements and protocol around a partner’s sleep habits and rhythms. Instead of thinking “I won’t bring up anything after 7:30 pm because I won’t really get my needs met” you might think “I won’t bring up anything after 7:30 pm because I want to help my partner succeed – and I know that they won’t really be able to participate at that time”. Where can you support your partner, accept them, greet them with more compassion? Help them help you? 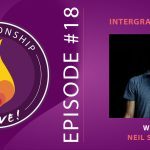 https://www.neilsattin.com/infinity Visit to download the show guide, or text “PASSION” to 33444 and follow the instructions to download the show guide. If you download the guide within the first week of this episode’s airing, you are automatically qualified for a chance to win a free recording of the first class of the “Magic: Are You Willing!” teleclass. The Railsplitters – Check them Out!